Conspiracy theorists and tinfoil hat salesmen across the web are having a field day with Special Operations Command’s upcoming large scale irregular warfare exercise named Jade Helm 2015. Although the tenets of practicing irregular warfare can be unnerving, this is most definitely not a military grab of the American Southwest. This is another type of war, new in its intensity, ancient in its origin—war by guerrillas, subversives, insurgents, assassins, war by ambush instead of by combat; by infiltration, instead of aggression, seeking victory by eroding and exhausting the enemy instead of engaging him…It requires in those situations where we must counter it…a whole new kind of strategy, a wholly different kind of force, and therefore a new and wholly different kind of military training. Note: You can read all about the tenets of irregular warfare here. I have always found it sad that out of all the people who discuss conspiracy theories, the ones with the most extreme views usually get the biggest soapbox. This puts other researchers on the sidelines, and once they have the conspiracy theorists have an impressionable audience, it is hazardous to try and debunk any of it. Thus, every light in the sky is a CIA drone or a spaceship, and every train loaded with US Army armor is part of a grand plan to send 300 million Americans to internment camps and impose martial law, which is obviously the first step to totalitarian rule. I can’t deny that Operation Jade Helm sets up a ripe canvas for which conspiracy theorists can paint their biggest nightmare scenarios. In reality, it is just another exercise in a never ending list of DoD and homeland security drills that deal with everything from huge earthquakes and multi-national air wars to counter-terrorism offensives and zombie infestations . Yet even the Texas Governor’s office is getting on the conspiracy theory bandwagon to some extent, commanding the volunteer reservists of the Texas State Guard to keep close tabs on the exercise as some constituents are demanding. Jade Helm ‘15 will take place in seven states and specifically near about 17 different population areas. The U.S. Army Green Berets, U.S. Navy SEALS, U.S. Air Force Special Operations Command, USMC Marine Special Operations Command, USMC Marine Expeditionary Units, the 82nd Airborne Division and civilian inter-agency partners will all take part in the super-sized exercise. Jade Helm will run for eight weeks, from July into August. You can read the DoD’s brief on Jade Helm’s Texas operations here. It is fairly straight forward and nothing really that strange, aside from the fact that its map spans across the American southwest and into Texas. Within the narrative of this exercise, different states have different levels of affiliation. Just like in the real world, some of these states can be relatively neutral while still sympathizing with one of the major belligerents. This is a key part of irregular warfare, identifying which indigenous forces you can work with and assessing how hard it will be to make that happen. Please keep in mind that the states are named as enemy, hostile or neutral based on the totally fictional scenario dreamed up for training purposes. So no, Texas and Utah are not considered the bad guys within the DoD, far from it. The fictional naming of different geographical regions as enemy or friendly is a tenet of military scenario training dating back many, many decades. The large and diverse geography that the exercise spans allows planners to create uniquely scripted fictional cultures and affiliations of each state within it, creating an overall very complex irregular warfare situation, with many nuances to account for. This large geographical area also allows for unique logistical challenges that crews tasked with transporting special operations forces around the theater cannot get when an exercise is contained in a few small military operating areas. Instead of being locked in a small geographical ‘box,’ which could be traversed by an aircraft quickly, flying long distances over diverse terrain is a much more true to real combat. This can include infiltrating deep behind ‘enemy lines’ to meet with an indigenous group of fighters operating high up in the snowy peaks of Utah, where the real battle is earning their leader’s trust, not the actual fighting itself. And yes, this is something units like the Green Berets practice regularly and in a very elaborate fashion. Another mission may see a unit fly hundreds of miles to execute a low-level infiltration and assault on an insurgent training camp located in the hot and high mountains of southern California, or being dropped into a frigid lake in Idaho to approach their target by small boat. Simply put, the tyranny of distance is an enemy all itself. Fighting a mock war on a realistic scale, and in diverse environments, will push our troops and their gear to the max. Additionally, the exercise’s large map allows for a rapidly changing geopolitical storyline, one that is much more complex and fluid than the traditional X-stan vs Y-stan scenarios that often dominate simpler exercises. Just as one state’s allegiance may be swayed, another’s may go the other direction, or even get invaded by the enemy. You cannot simulate this complex of a storyline using military operating area or even a portion of a single state. The DoD also came right out and said why they chose Texas for the core part of the exercise, as they have found the state’s populace is very understanding when it comes to the need to train US military units in realistic conditions and thus more forgiving of any peculiar occurrences or disruptions caused by an exercise. The truth is that the special ops community has a relatively poor record when it comes to subtly exposing their peculiar trade to the public during very conspicuous exercises. It seems like every year or so a local population goes nuts over the seemingly sudden appearance of black helicopters, with commandos hanging out the side, landing on top of high rises and zooming along at night in tight formations with only one helicopter having its lights on. This actually happened here in Portland, Oregon in 2008. The announcement of the exercise, which saw the 160th SOAR MH-6 Littlebirds and Navy SEALs training over downtown Portland, only came an hour before the missions began. Those in the small aircraft photography and spotting community in the area were well aware of the MH-6s presence but the public was not. Long story short, black helicopters and unmarked commandos were the top story for three nights straight on the local news. After just a couple days the exercise had to be moved entirely even though the populace was fully aware they were just SEALs training for urban operations and the same training has been conducted all around the country. Apparently seeing exercises like this in real life is more disconcerting than it is in film. These same types of occurrences, of which nothing was secret, has happened around the US year after year. Each time the ‘black helicopter’ community and conspiracy theorists go nuts. The reality is that these units are just trying to get the unique training that only dense urban environments provide. To them it is just another day on the job, to some of the public they may as well be mutilating cows. Still, this underlines how poorly SOCOM is at preparing the public for even being in the very proximity of their unique and often visually spectacular training. But then again, public affairs is not the command’s strong suit as the community prides itself on being silent warriors and keeping everything out of sight and out of mind unless otherwise directed. Just as Col. Lastoria states, the threat towards US interests and national security are indeed changing. When it comes to the breadth of this particular exercise, it could very likely be something of a response to Russia’s use of multiple layers of irregular warfare during its invasion of Crimea and their ongoing proxy war in eastern Ukraine. During the conflict, everything from unmarked Russian paratroopers and aircraft, to white half empty trucks containing ‘humanitarian aid,’ along with heavily arming local militias, have been used to seize Crimea and create widespread instability in Eastern Ukraine. All the while Russia has denied and then admitted involvement, just to deny their involvement again. If you look at a map surrounding Ukraine, it looks somewhat similar to the diversity of alliances and informal geopolitical affinities as what can be found in the scenario map of Operation Jade Helm. This training event gets our forces ready for irregular warfare on a large scale, and Eastern Europe is a very clear contingency operation right now whether we like to admit it or not. Some of the key elements disclosed in the DoD’s brief on the Texas portion of the operation include soldiers openly carrying weapons with blank ammunition and the fact that “some individuals may conduct suspicious activities designed to prepare them for complex environments overseas.” The truth of the matter is that these exercises will go down with the full knowledge of local law enforcement, those not wearing uniform will have yellow armbands on, and the total number of players involved in urban area operations is stated to be around 65, with two or three Humvees and one night of helicopter activity. The rest of the exercise will be held on private land or in military operating areas with a total of 1,200 personnel, including support and administrative facilitators, taking part in the exercise Texas wide. This is hardly an invasion force of America’s second largest (and probably most heavily armed) state. It is understandable how the growing reach of the Federal Government may be unsettling to some, but as long as an exercise like this one does not interfere with citizens civil liberties, they should go ahead as planned. 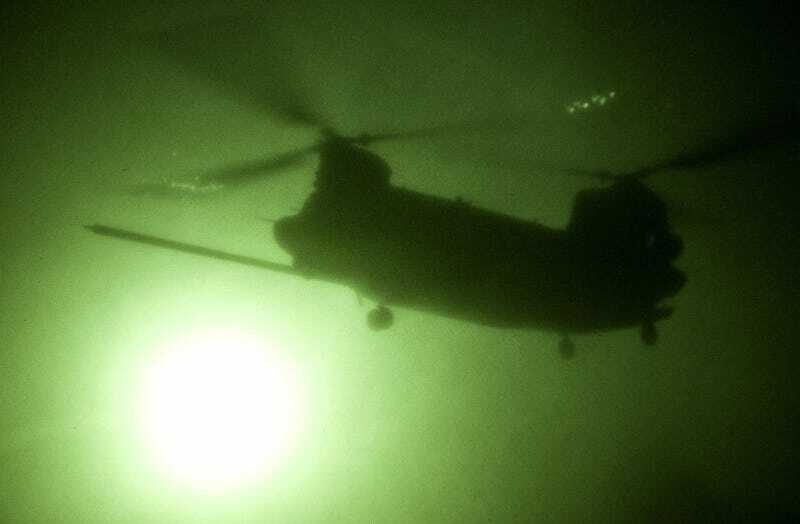 Providing our special forces operators with the very best training possible is critical to national security. This is especially true considering the new geopolitical realities of the world and that Putin has a serious affinity to using irregular warfare in a blatant and large-scale way. Often, irregular warfare needs to be fought with irregular warfare and other highly specialized tactics, such as intensive psychological operations and unique forms of intelligence gathering. These techniques cannot be practiced in a text book or on a computer. Jade Elm may seem puzzling at first glance, and it should as its goals support irregular warfare training, but in reality it is just another military training event and a clearly valuable and topical one at that. So don’t expect to be rounded up and hauled off in an armored bus with blacked out windows.